Get Your FREE Ultimate Guide To Choosing The Right Home Security Company So You Don't Get Ripped Off! Home Security Systems in Doctor Phillips: Don’t Be One of the Millions of Homes Burglarized This Year! According to the FBI, more than 2 million homes are burglarized in our country each year. This means that someone is breaking into a home somewhere about every 13 seconds. To avoid being one of the victims, home security systems in Doctor Phillips is your best option. Here is a list of some things you should know before you buy a home security system. 1. Protect your valuables. You can install devices to alert you if your valuables are tampered with. They are not only beneficial when it comes to theft, but also to give you peace of mind. For example, if a repair person or house cleaner comes into your home while you are away, you will know whether they disturbed your valuable items. 2. Burglar alarms are NOT home security systems. There are major differences between a burglar alarm and a home security system; the latter provides additional benefits to help protect you and your family, and it may be the better investment. Before signing up with a home security monitoring company, it is important that you know what you are getting, what is protected and how the system works. 3. Home security systems in Doctor Phillips provide protection even during power outages. 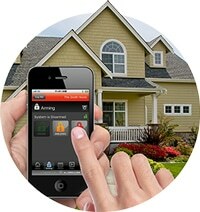 Many homeowners are concerned about how the home security system is powered. Suppose you are on vacation and get word that there was a storm in your neighborhood that knocked out the electricity. With cellular technology, your system will continue to operate even when there is no power at your home. 4. Size matters. Although some security companies may tell you there is only one kind of security system for everyone, this is not true. In fact, several types and sizes are available, each of which can be customized to fit your needs. Sure, doing so will cost more; but it also will provide you with a higher level of security, as it will be designed specifically to fit your home and your way of life. 5. Contrary to popular belief, home security systems in Doctor Phillips are affordable. Even if you are on a limited budget, you can have a home security system. If your budget allows, you can opt for a system that is larger, is more advanced and has extra features. This can include fire alarms, carbon monoxide alerts and intruder alerts, and can provide you with immediate access to emergency personnel. Aside from the security of knowing that your personal possessions are protected, home security systems in doctor Phillips give guests, babysitters and nannies peace of mind, knowing that they are safe and secure in your home. Now that you have a better understanding of the importance of a home security system, and know what services are available, isn’t it time you seriously considered home security systems in Doctor Phillips? Don’t become a statistic – call our office today and speak to one of our security experts about proper protection for your home. GET YOUR FREE ULTIMATE GUIDE NOW! Thank you, your Ultimate Guide is on the way! Know of others who can benefit from the knowledge we're about to share with you? Refer a friend and we'll send a FREE copy to them as well! We don't take referrals lightly! We'll send you a $25 gift card to a restaurant of your choice just for referring a friend or family member, if your friend or family member signs up, you'll get $200 cash in your pocket.